UNISELL 2000 LTD - ЮНИСЕЛ 2000. Tungsten carbide rods and blanks. Konrad Friedrichs. 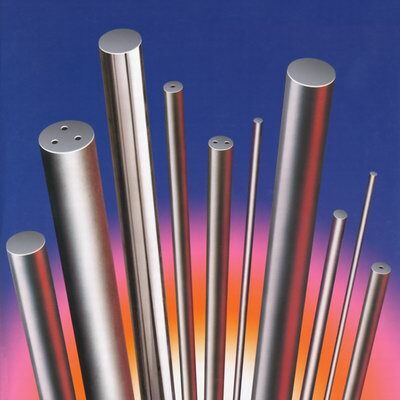 German company "Konrad Friedrichs GmbH & Co.KG" manufactures full range of carbide rods. Standard program includes rods from small 1 mm diameter to large 35 mm diameter and length of 310/330 mm. Rods can be fully ground or semifinished. Special rods with coolant holes and nonstandard shapes. Most popular custom made tungsten carbide grades include K20F, K40UF, K44UF, K55SF, K88UF and K6UF with submicron grain size. Ideal tungsten carbide for custom made tools, end mills and drills.